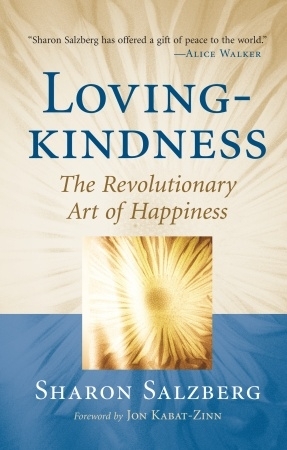 In this inspiring book, Sharon Salzberg, one of America's leading spiritual teachers, shows us how the Buddhist path of loving kindness can help us discover the radiant, joyful heart within each of us. Throughout our lives we long to love ourselves more deeply and find a greater sense of connection with others. Our fear of intimacy, both with others and with ourselves, creates feelings of pain and longing. But these feelings can also awaken in us the desire for freedom and the willingness to take up the spiritual path. 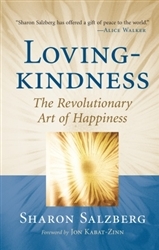 This practice of loving kindness is revolutionary because it has the power to radically change our lives, helping us cultivate true happiness in ourselves and genuine compassion for others. The Buddha described the nature of such a spiritual path as "the liberation of the heart, which is love." The author draws on simple Buddhist teachings, wisdom stories from various traditions, guided meditation practices, and her own experience from twenty-five years of practice and teaching to illustrate how each one of us can cultivate love, compassion, joy, and equanimitythe four "heavenly abodes" of traditional Buddhism.